Almost half of all drivers (44%) find that they either don't drive at all or very little because of costs. And only 10% race often enough in the class they prefer. 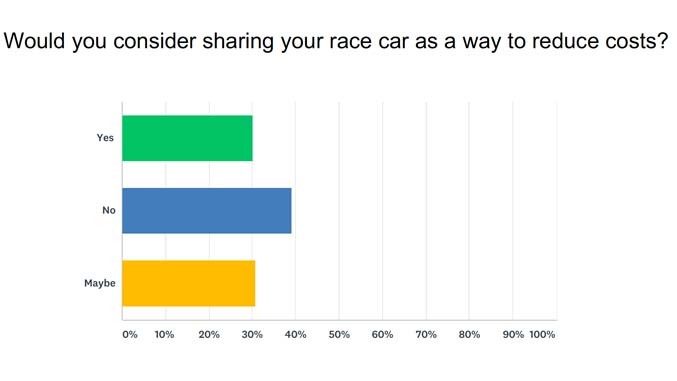 We did find that as drivers know more about sharing, it becomes more appealing. Having full coverage for mechanical damage and a good return on investment both would encourage drivers to share. 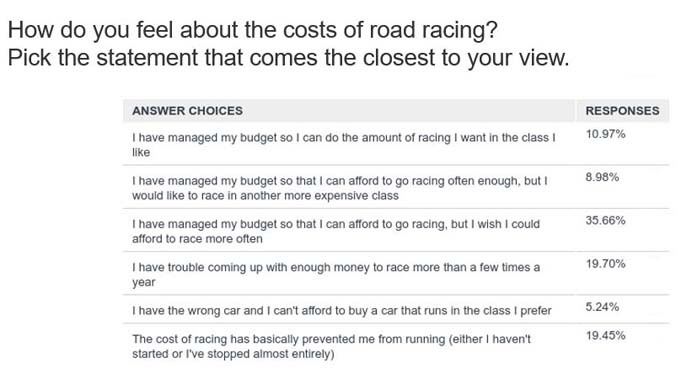 Perhaps drivers have to ask if racing is about the car or about the driving. The answer is unlikely to be the same for all drivers.